Former New York Yankees captain Derek Jeter and wife Hannah Jeter (née Davis) are expecting their first child, the couple announced on Monday morning on The Players Tribune. Jeter 42, and Davis, a 26-year-old super model and Sports Illustrated Swimsuit alumn, got married outside the Meadowood resort in Napa, Calif. last year. Jeter finished his career after 20 seasons with the Yankees and won five World Series titles. He has repeatedly expressed his excitement for starting a family after his baseball career. 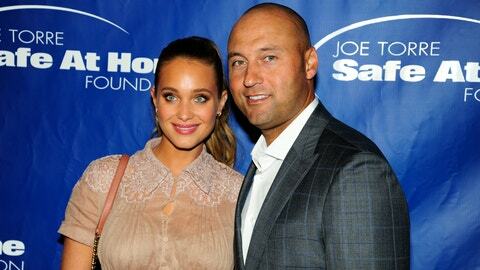 Jeter and Davis are expecting a daughter.